Nature, History & Bikes, OH MY! “History” is a snapshot in time. Layer those snapshots on top of each other, look through them an see the present. Awesome Ottawa Tours are the only way to see this tableau. Visit the sights and hear the stories that have taken Starved Rock Country from an Indian trading post on the 1600’s to the vacation destination over 2.5 million visitors today. As depicted on the flag of Ottawa, Illinois, our guided tour takes you through the for epochs of our history, the Indian; the French or Exploratory; the Pioneer; and the Present. Our 5-6 mile ( Easy) ride will take you to historically significant landmarks as well as little known areas lost in time. Over 2-3 hours, hear stories from citizens of the past to fully immerse yourself in the history of Starved Rock Country. Awesome Ottawa tour guides are your personal concierge. Where is the best Manhattan or craft beer? Where is the best place to view wildlife? Where can we get Sushi? We can answer these and many more questions so you get the most out of your stay in our beautiful area. 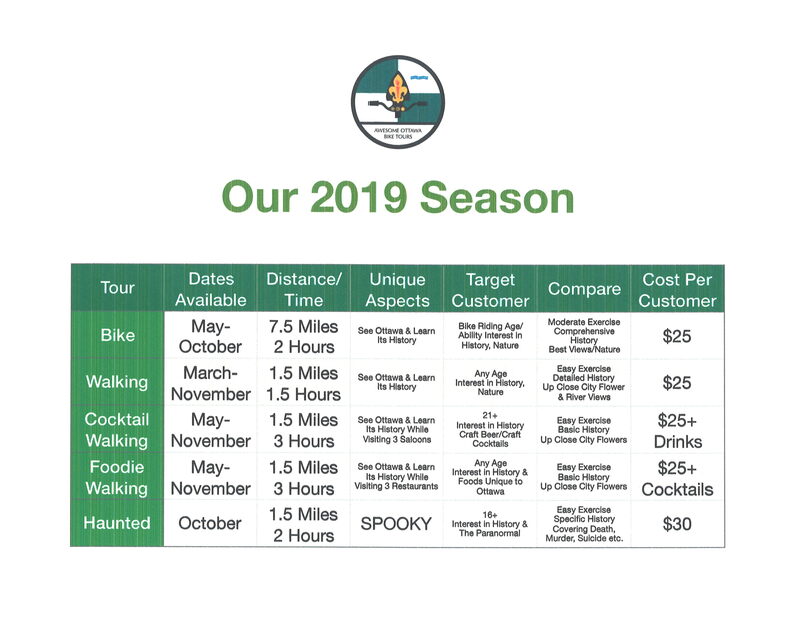 There is no better way to experience Ottawa and Starved Rock Country than a personally guided bike tour through the flat, level streets, the easy trails and beautiful parks of Ottawa, Illinois. Cost: $25 per person, $20 per person if you use your own bike.